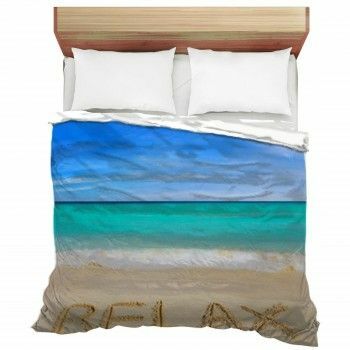 Whether you live in California and don’t want to lose out on your lifestyle when the sun goes down, or you reminisce about the lazy days of a winter vacation getaway, curling up under soft California comforters is your best remedy. 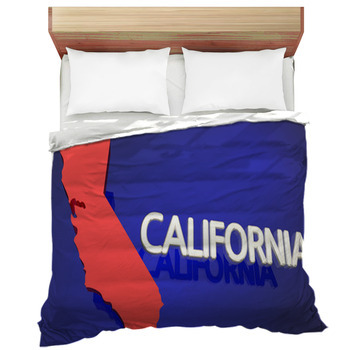 With an array of California duvets and bed sheet designs to choose from, there is something for every fan of the golden state to delight in. 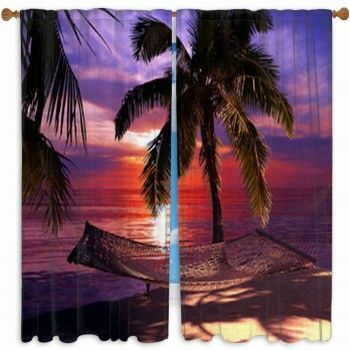 The Los Angeles Bedding design depicts a beautiful sunrise over the valley with palm trees and the city in the background. 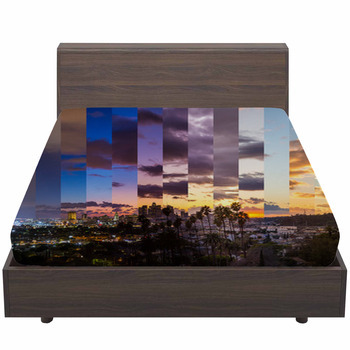 Flip the script to dusk, and the Dusk Over Sa Bedding showcases a majestic view from beneath the Golden Gate Bridge, with a perfect dark night sky and city lights in the backdrop. Speaking of beautiful skies, the Downtown San Bedding features and boasts a shot of the river with rolling white clouds adorning a bright blue sky. This setting is great for a mid-day nap or to get some shuteye after a long day. 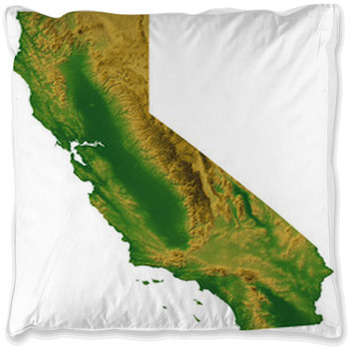 Several California duvets feature the geographic shape of the great west coast state, including the Vintage Cali Bedding. This layout has a vintage style with the state in the forefront and a faded American flag in the backdrop. The Map of The U Bedding has a darker blue shape of the state with a white background. 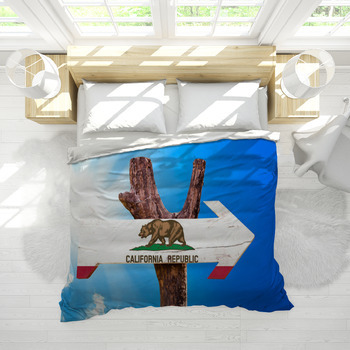 Want your California sheets to match your car? 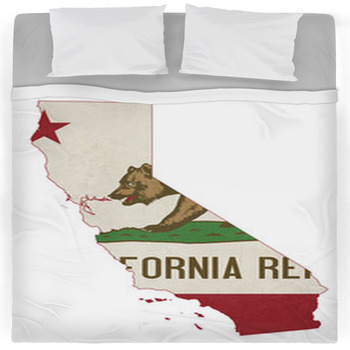 One California Bedding design is framed by the state license plate layout. For those who prefer the city life and don’t want to let it go at bedtime, the San Francisco Bedding offers a beautiful view of the downtown San Francisco skyline, with a hazy gray sky in the backdrop. 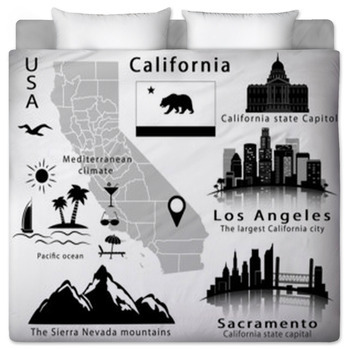 As an alternative, the Los Angeles Bedding showcases a cartoonish depiction of LA, with skyscrapers and palm trees dominating. 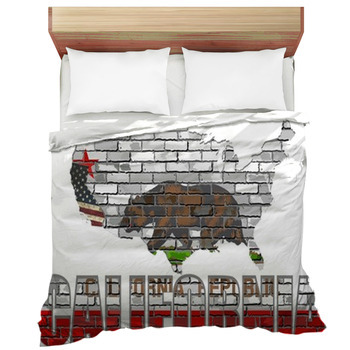 California’s state animal is the grizzly bear, and there are a number of soft California comforters and bed sheets that feature this captivating creature. 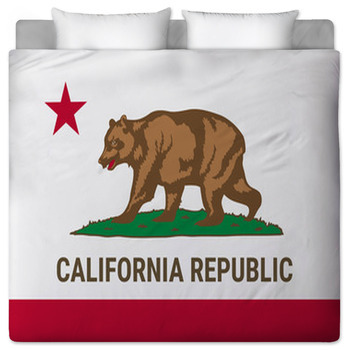 The California S Bedding design, for instance, includes the bear in the center of the state logo with bright red trim on the bottom. 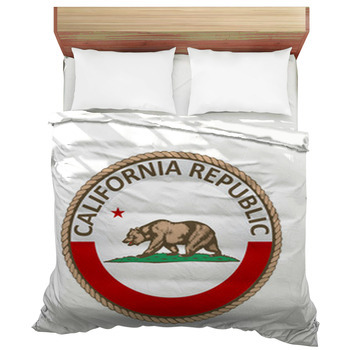 For a more vintage wood look, the California R Bedding layout is a great fit. It offers a wood panel format with the same state logo on the forefront. 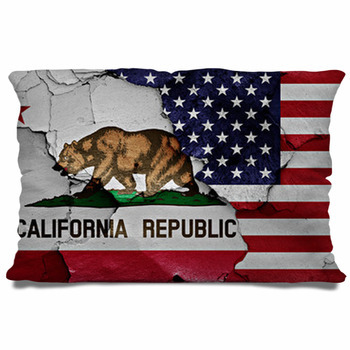 If you want to celebrate your love for Cali but don’t see California design that suit your style, get a custom look by sending us your favorite personal snapshot! 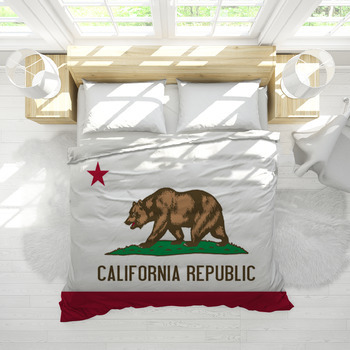 Decorate your room with touches that would show your love for the state like a California bedding, wallart and rugs.